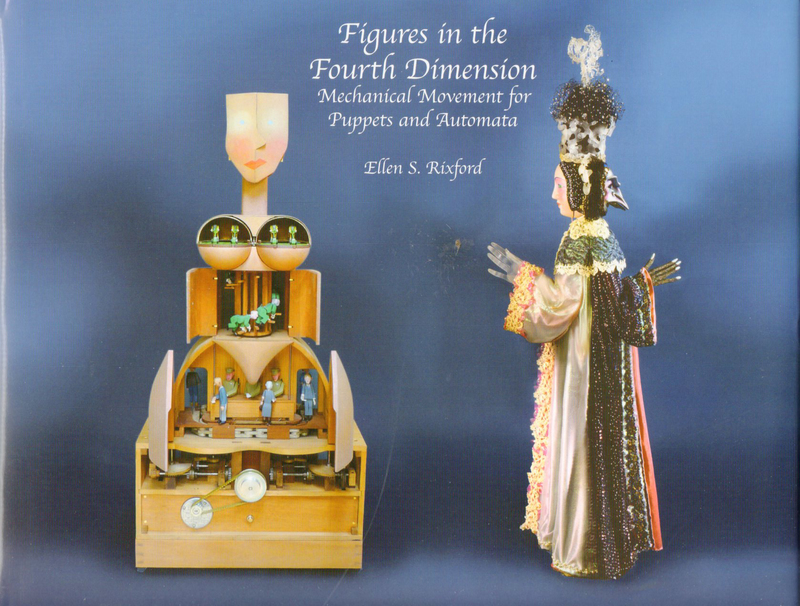 Figures in the Fourth Dimension by Ellen Rixford is a delight to both the eyes and the brain. If you like puppetry and/or automatons you will love this book. 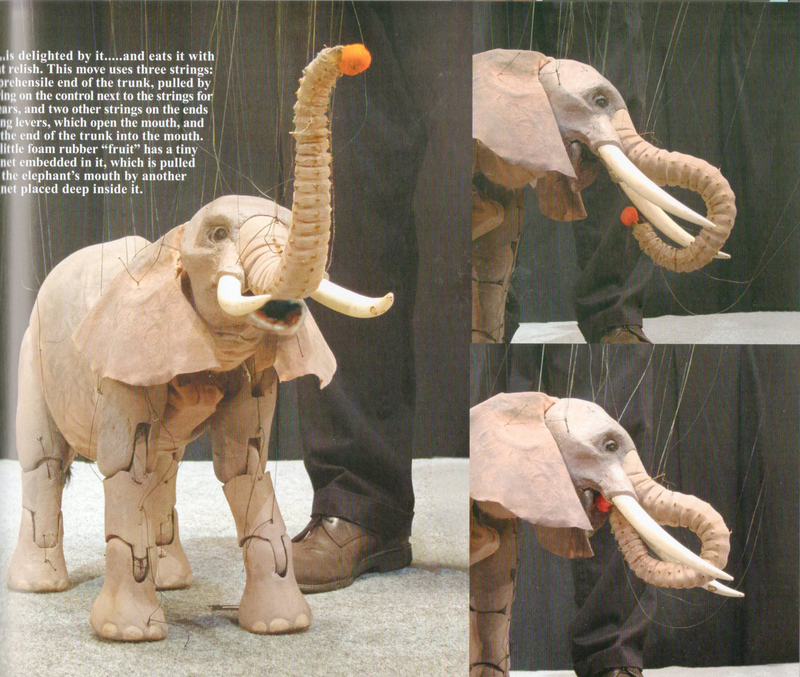 If you want to build puppets, marionettes, or automata, you will be ecstatic. This book is big, heavy and loaded with beautiful photos, extremely cogent diagrams, instructions and other valuable information. It starts with basics; the parts and devices used in building mechanical things. Then it moves on to tools, supplies, and setting up workspaces. 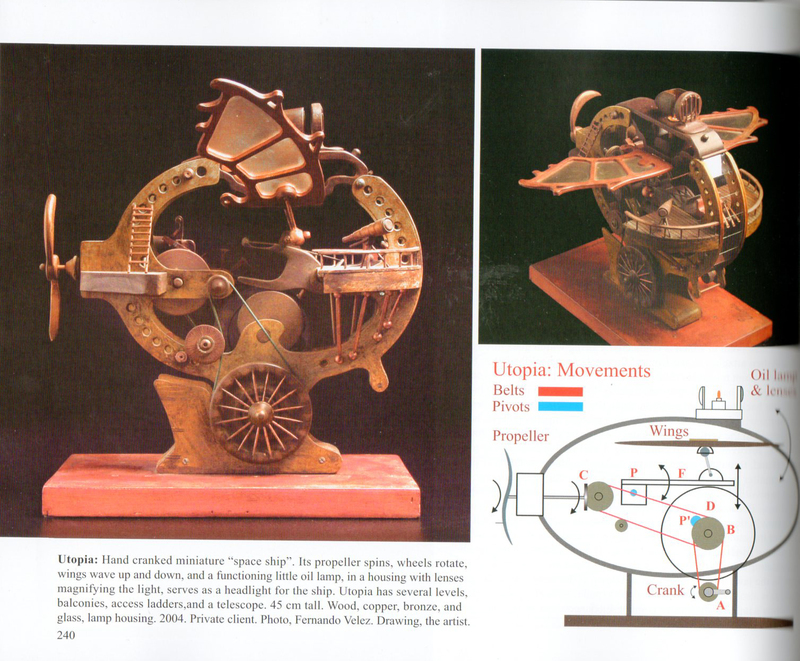 Then there are chapters on artists working in a wide variety of styles both in the visual and the mechanical approach. 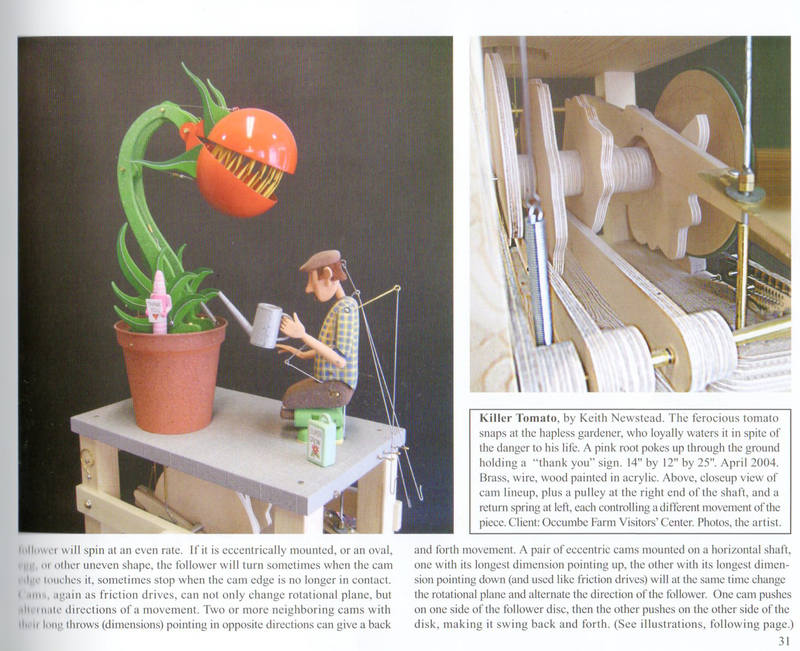 Like this bright colorful killer tomato automaton. 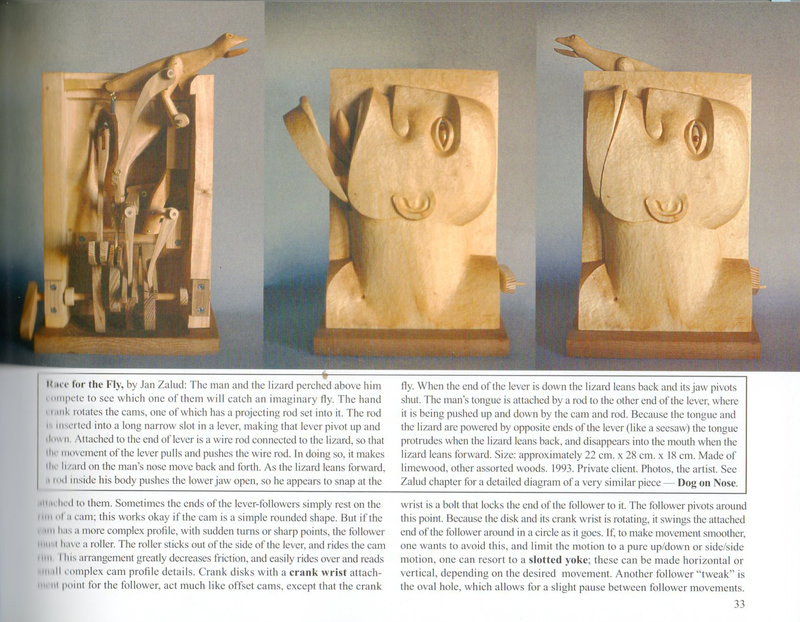 Or this modern statuesque carved wooden automaton, both these examples use similar mechanisms but the artistic esthetic is totally different. 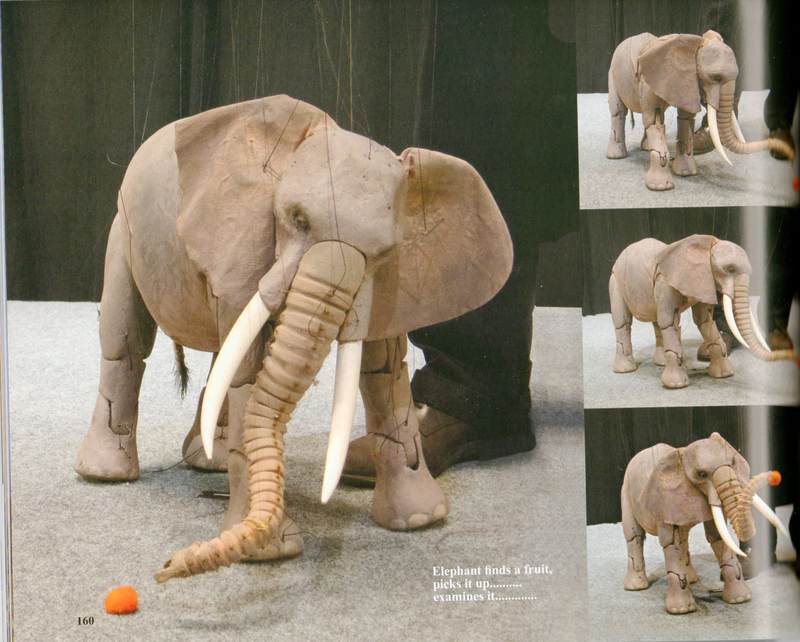 Then there is this elaborately controlled elephant marionette who picks up and eats a fruit. 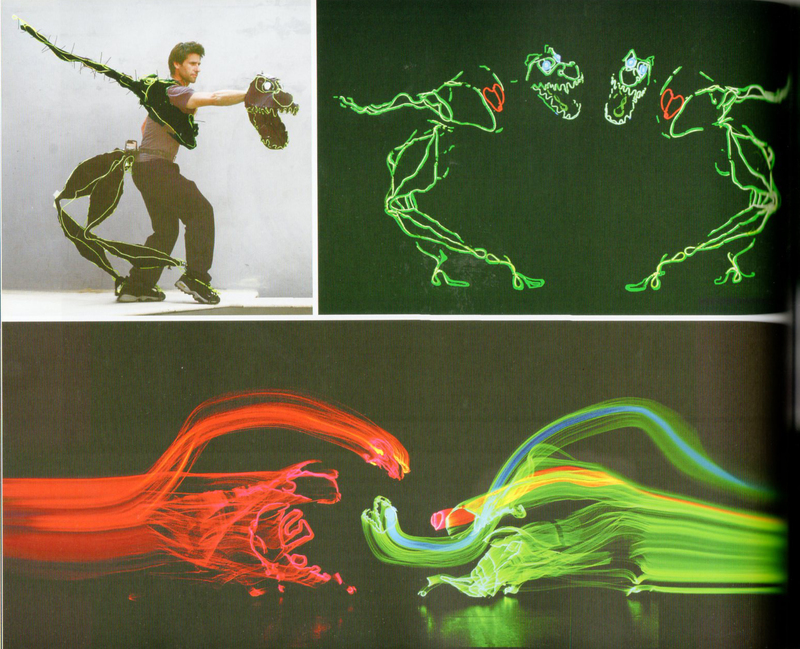 EL Wire body puppets that in performance are light in motion. 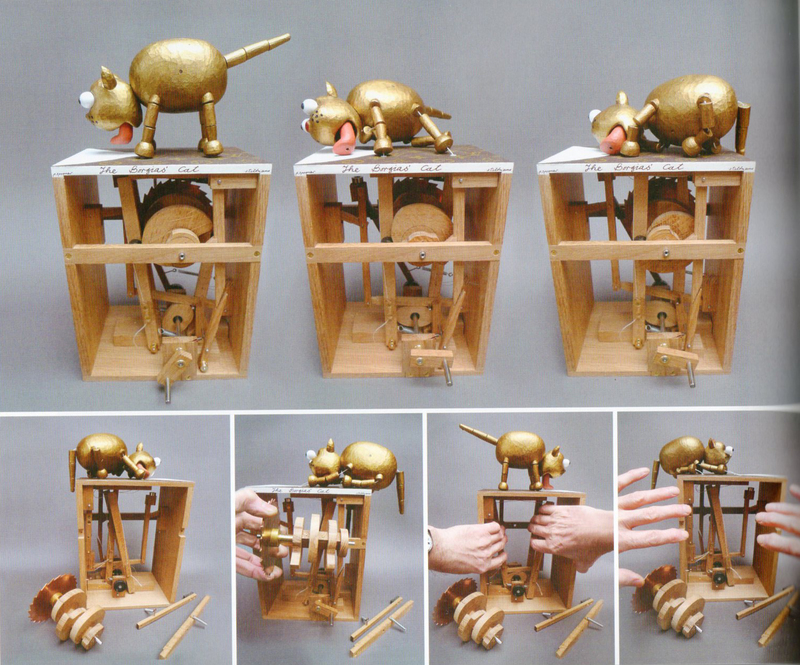 This wooden spaceship is an example of how not only do you get a description of how the device moves/acts but also of how the action is achieved. 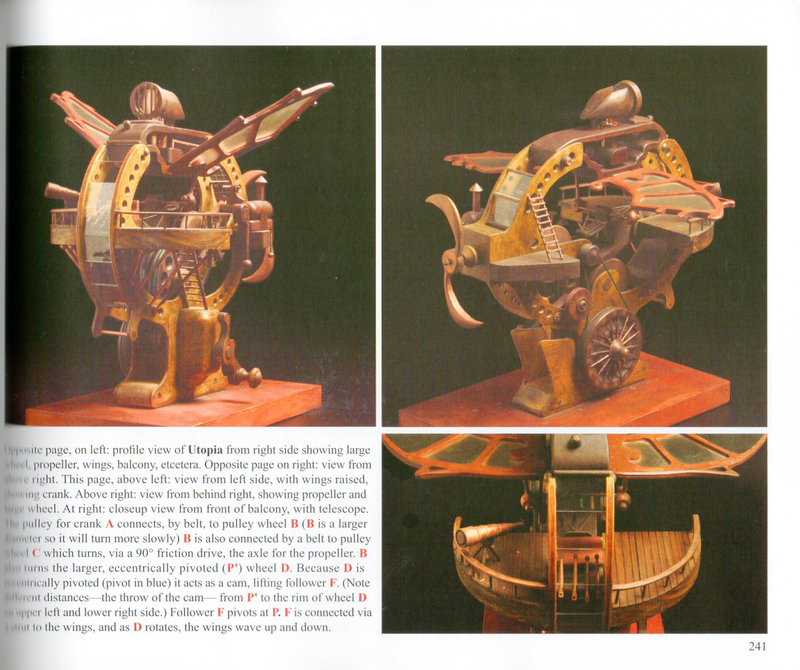 An outstanding feature of this book is that while it shows many, many different devices it also explains how to make and use the different mechanisms that the various artist used to achieve the motions. This last picture is here because I’ve adored Paul Spooner’s art for a very very long time and this one is a perfect example of why. It’s called “The Borgias’ Cat” who happens upon some spilled milk and laps it up . . . and dies. Wonderfully Silly! Dark but silly, just love it. It took me a very loooooong time to decide which images to share, I finally chose on the basis of variety of styles as there are too many entirely gorgeous photos to choose just a few favorites. So if you’ve ever wondered how puppets, marionettes, ventriloquist dummies and mechanical automata (both modern and antique) work, what their guts look like, or how to build one. Buy this book. Even if you’re just curious about these things: BUY THIS BOOK! This Book is Totally Amaze-Bones!!!! Figures in the Fourth Dimension website is here where you can see more about the book; including the entire table of contents (5 pages — this is a thick heavy book — hooray). Then did I mention . . . you should buy it!